John N. Low received his Ph.D. in American Culture at the University of Michigan, and is an enrolled citizen of the Pokagon Band of Potawatomi Indians. He is also the recipient of a graduate certificate in Museum Studies and a Juris Doctorate from the University of Michigan. He earned a BA from Michigan State University, a second BA in American Indian Studies from the University of Minnesota, and an MA in Social Sciences from the University of Chicago. 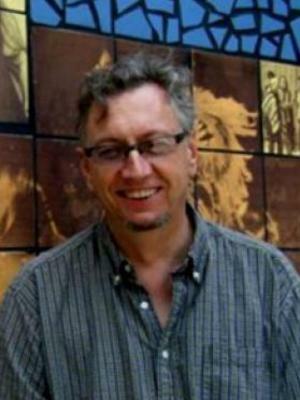 Professor Low previously served as Executive Director of the Mitchell Museum of the American Indian in Evanston, Illinois, and served as a member of the Advisory Committee for the Indians of the Midwest Project at the D’Arcy McNickle Center for American Indian and Indigenous Studies at the Newberry Library, and the State of Ohio Cemetery Law Task Force. He has presented frequently at conferences including the Native American and Indigenous Studies Association (NAISA)), American Society for Ethnohistory (ASE) and the Organization of American Historians (OAH). He continues to serve as a member of his tribes’ Traditions & Repatriation Committee. Dr. Low’s research interests and courses at the Ohio State University – Newark include American Indian histories, literatures, and cultures, Native identities, American Indian religions, Indigenous canoe cultures around the world, Urban American Indians, museums, material culture and representation, memory studies, American Indian law and treaty rights, Indigenous cross-cultural connections, critical landscape studies, and Native environmental perspectives and practices. Book: Imprints: The Pokagon Band of Potawatomi Indians & the City of Chicago (Forthcoming, Spring 2016. Michigan State University Press). Resource: John N. Low, "The Pokagon Band of Potawatomi Indians: A history and introduction to the community through text & images.". Review: Christopher Wetzel. “Gathering the Potawatomi Nation: Revitalization and Identity.”Ethnohistory: The Journal of the American Society for Ethnohistory. (Forthcoming). Article: “Vessels for Recollection - The Canoe Building Renaissance in the Great Lakes.” Sara Beth Keough, ed., Material Culture: The Journal of the Pioneer America Society (now the International Society for Landscape, Place, & Material Culture) 47, no. 1 (Spring 2015). Article: “Fort Dearborn – Conflict, Commemoration, Reconciliation, and the Struggle over ‘Battle’ vs. ‘Massacre’.” J. Randolph Valentine and Monica Macaulay, eds., Papers of the 44th Algonquian Conference. Albany: SUNY Press, (May 2015). Essay: “The Art and Architecture of Simon Pokagon.” in O gi-māw-kwĕ Mit-i-gwā-kî (Queen of the Woods) by Simon Pokagon: A new critical edition of an 1899 novel by a complex and talented American Indian. East Lansing: Michigan State University Press, 2011. Essay: “Ishi’s Legacy.” in Infinity of Nations: Art and History in the Collections of the National Museum of the American Indian. Cécile R. Ganteaume. ed. Washington, D.C.: Smithsonian Press, 2010.
Review: "Joe Feddersen: Vital Signs" in American Indian Culture and Research Journal, 33:2, (October, 2009).